If you don’t know what Zero Bounce is, it is a WordPress plugin which pushes the visitors to visit any URL that you wish once they click on the ‘Back’ button. In case you want to boost your bounce rate, you can sneakily use Zero Bounce because as your visitors will be forced to visit some other page of your website, your bounce rate will improve by any means. The lower will be the bounce rate for your website, the better will be its search engine rankings. However, the Zero Bounce plugin can be used for other purposes as well. When you misuse the back button and show one extra page, you get a chance to transform ‘lost traffic’ into profit. You can even send your visitors to one of your affiliate pages as well. So, as we see, there are endless possibilities. 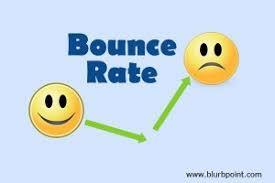 A bounce occurs when the visitor visits your website perhaps for the first time and they end up seeing just one page. Whenever they click on the ‘back’ button, they bounce back to the Google page from where they came. RocketFuel and Mashable, few of the industry leader inform us that majority of the sites of the web have more than 50% visitors who leave within 30 seconds once they visit a website. To gain more profits: When people tend to leave your website, it means that you’ve lost them forever. But if you could offer them something that they think is valuable, they might remain longer on your website and might even end up buying something from you. To obtain more traffic: As per Google, both ‘bounce rate’ and ‘time spent on site’ are 2 of the vital ranking factors. A website which has a high bounce rate yet low time is deemed to be a poor quality site by Google and hence will get a lower ranking. Zero Bounce – How does it work? Zero Bounce can work on both static HTML and WordPress websites. The plugin will usually generate a code which can be pasted before the body of an external HTML page of your own site. This plugin is smart and it won’t push the visitors if they’re just browsing your site or are just clicking a link on your website. You can mention various settings per page, like you can mention redirecting to a separate URL or disable or enable on that page or post only. For further control, you could possibly upgrade to the Pro version. The Pro version can even redirect the visitor when they wish to close the browser too. Whenever the cursor of their mouse leaves the window of the browser, the visitors are all redirected. You’re allowed to set different redirect URLs and the plugin will move through them. Visitors can be redirected based on the websites they arrived from. In case the visitor is from Google, you could definitely redirect the visitor. Therefore, if you’ve been looking for email verification mail options, you can try installing Zero Bounce where you can reap the above mentioned benefits. So, what are you waiting for? Go and get your version of Zero Bounce and start using it.